As the arts world is knee-deep in Arts Council England national portfolio organisation applications, Graeae has been inundated with requests about how to audition and work with Deaf and disabled actors. Everyone is on the case about the Creative Case for Diversity. This is what I tell them. It is quite simple. You need to be clear about the roles you are looking for. 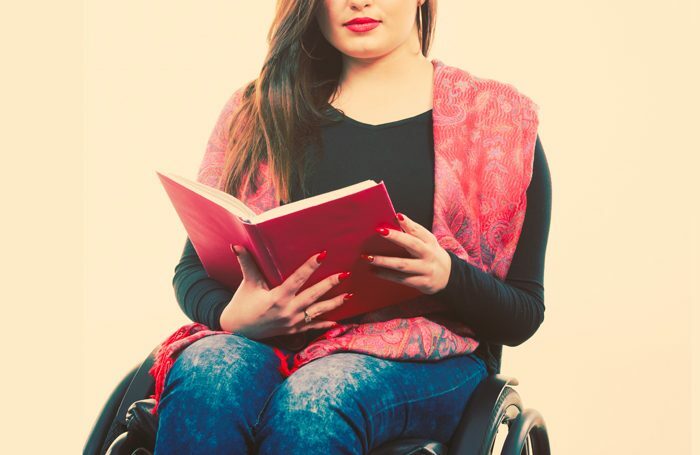 Ethically, it should be very clear it is not a problem if the characters are played by Deaf and disabled actors and it is not an issue or a concern that “this means that my play will suddenly become a disabled play” – a quote from a well-known director some years ago. This needs to be accessible. It’s much easier now with social media, but simplicity is a virtue, as it’s easier for screen readers than for blind people. You need to state that all access will be provided at auditions. Ensure that you know the access requirements of attendees and get this in place. This could be booking sign language interpreters, access support workers and audio describers or ensuring your space is well lit, wheelchair accessible and has a range of seating options. Or all of the above. It is prudent to send any text out prior to audition in accessible formats – large print, Braille, audio file, BSL translation. If the nature of the audition is a ‘cattle market’ job, be mindful that people with different communication styles – ie signing, eye gaze, voice patterns, etc – need more time so they can access the audition on equal terms. I never do cattle-market auditions – I do a three-hour workshop with 15 people and use the theme as basis rather than actual text. It should never be a problem if any character is played by a Deaf or disabled actor – there is no excuse not to be open-minded about this. The best way forward is to think about the creative possibilities of working with Deaf and disabled performers – ie how the translation process from English to BSL is useful for all actors and how diverse communication deepens the narrative. Your commitment to access should continue through to rehearsals and the run. Talk to actors about what they need, whether that’s wheelchair-accessible accommodation, access support, sign language interpreters or specific equipment. Access to Work can provide financial support to help with costs, and resources and advice are out there, but you must do your research. It will pay off. By being truly inclusive in your approach to casting, you will not only be embracing the Creative Case for Diversity, but you’ll also meet incredible performers and open up new ways of working. It’s as simple as that – and so worth it.